FineReader 14 offers licensing options optimized to equip multiple employees in various network environments of small and medium-sized businesses, large corporations, public and educational institutions. Volume licensing is available for the Corporate and Enterprise editions and starts at 5 licenses. Equip multiple employees across the organization with an integrated PDF & OCR solution, suitable for a wide range of tasks when working with PDF documents and scans. Roll-out easily on multiple workstations. Save resources on deployment and license management with flexible licensing options. Add more licenses easily as the business grows. Get progressive volume discounts when purchasing 5 licenses and more. Benefit from automatic product upgrades without additional payments with Upgrade Assurance. In order to ensure that the license type you chose is suitable for your specific IT infrastructure and set up ABBYY provides different trial options. Test product deployment and functionality for PDF and OCR tasks on multiple workstations across your organization. The licensing options listed above (Per Seat, Concurrent, Terminal Server) are available for deployment tests upon request. You will receive 5 FineReader 14 licenses of the desired license type which will be active for a test period of 30 days or 100 exported pages each. Stay up-to-date with the latest ABBYY PDF and OCR software at a reasonable price. 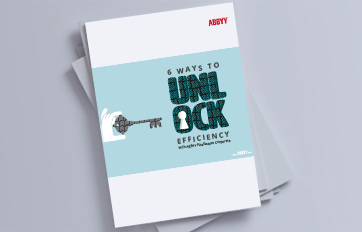 By purchasing Upgrade Assurance for ABBYY volume licenses, your organization receives upgrades to the next product version as it is released, without additional payments. Find out how ABBYY FineReader Corporate can support you in managing these challenges and how you can start using your documents and the information they contain more efficiently. Which FineReader 14 editions offer volume licensing options? Volume licensing options are available for FineReader Corporate and Enterprise editions. How do I obtain multiple licenses for FineReader 14 Standard? Multiple single user licenses of ABBYY FineReader 14 can be purchased via the ABBYY online store. My organization is using volume licenses of ABBYY PDF Transformer+, how do we upgrade to FineReader 14? Volume licenses of PDF Transformer+ are eligible for an upgrade discount to ABBYY FineReader 14. For volume usage we recommend you use Per Seat or Terminal Server licenses, depending on local or terminal use of the software in your organization. Can we use different license types within one network? Yes, you can use Per Seat, Terminal Server, and Concurrent licenses in one network. You can also manage both the Per Seat and Concurrent licenses, as well as single user licenses using the License Manager tool that comes with ABBYY FineReader 14. Is there any discount for not-for-profit organizations? Yes, ABBYY provides volume discounts for not-for-profit organizations. Please contact us for more information.